Top Five Most Expensive Buildings In The World We have seen many luxurious buildings that look extremely innovative on the exterior as much as in the interior. However, there are certain buildings that have been constructed with lavish budgets that amount to more zeroes on the right side than you could ever have imagined. These landmark buildings use the best construction materials, high-end land and are built over acres of land which perhaps leads to their rocketing construction rates. Here are the top five buildings that are the most expensive in the world: 1. Bank of America Tower, Manhattan This skyscraper located in Manhattan cost around 1 billion dollars to construct. Located at the high-end Midtown district of Manhattan in NYC, the Bank of America Tower has one of the most posh addresses- One Bryant Park. This skyscraper is erected at 1,200 feet I height and is located between the 42nd and 43rd Streets on the Sixth Avenue and faces Bryant Park. Designed by the COOKFOX Architects, this billion-dollar project is perhaps the most eco-friendly and efficient buildings in the world. Having attained the status of being the third tallest building in NYC, the Bank of America Tower is also the 5th tallest building in the U.S. this mega-structure was awarded the Best Tall Building Americas Award in 2010 by the Council on Tall Buildings and Urban Habitat. 2. Kyoto Station Kyoto Station, as much as it sounds is a transportation hub located in the Japanese city of Kyoto that also contains a movie theater, a shopping mall, a hotel amongst other facilities. This project cost a whopping 1.25 billion dollars to construct. Kyoto Station is the second biggest train station in Japan and one of the largest in the world. The amazing construction that contains striking elements such as the structure made out of glass, a wavy roof and a grand staircase was built in order to commemorate the foundation of Kyoto as the Heian capital 1200 years ago. The structure also has a giant escalator that can take passengers and guests up nine floors. 3. Burj Khalifa This is ranked as the third most expensively built structure in the world with a price tag that amounts to 1.5 billion dollars. Apparently the Burj Khalifa is also the tallest building in the world till date and is not only known as the most popular skyscraper in Dubai, but it also houses one of the most luxurious hotels in the world. The height of the Burj is 2,722 feet and has 163 floors with a floor area of 39, 473 m2 and it took a good six years to be built. Designed by Skidmore, Owings and Merrill, this tower was also awarded the Best Tall Building Middle East & Africa in 2010 amongst many others. It is also used for various adventure sports like Climbing and BASE jumping and was also used in the Hollywood blockbuster Mission Impossible 4. Taipei 101 This skyscraper in Taipei, Taiwan is the second most expensive in the world with a cost that spiraled to 1.8 billion dollars. 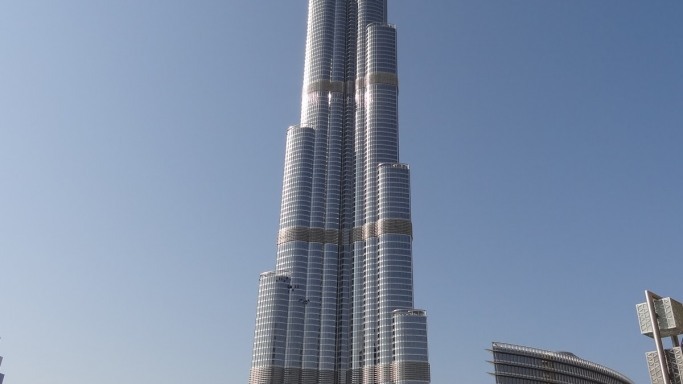 Inaugurated in 2004, this landmark skyscraper has been named as one of the Seven New Wonders of the World by Newsweek and was the tallest building in the world until 2007 when the Burj Khalifa attained that position and broke the record. This tower contains Taiwan’s financial hub containing the Taipei Stock Exchange and is also designed to be earthquake and typhoon proof, which are common occurrences in the region. Taipei 101 has 101 floors that are occupied and the tower has a friendly status at the base of the building which offers a pleasant sight to the incoming guests. The building is extremely tall and that is why it has two observation decks which offer a breathtaking panoramic view of the city of Taipei. The design of the building is inspired by the Chinese pagoda and other Chinese symbols with approval from a Feng Shui master. 5. Antilla The Antilla is the skyscraper that cuts through the Mumbai skyline with its very unique form. This building took 2 billion dollars to construct and is the private residence of the Mukesh Ambani, the business magnate of India. The Antilla has even been given the status of being the ‘Taj Mahal of the 21st Century’ as it is one of the most lavish and expensive residences in the world. The building has 27 floors with a dedicated staff of 600 people to maintain and run it. Each floor is different with a unique blend of architectural styles so that it does not five a feeling of repetition. The Antilla is based on the principles of Vaastu Shastra.